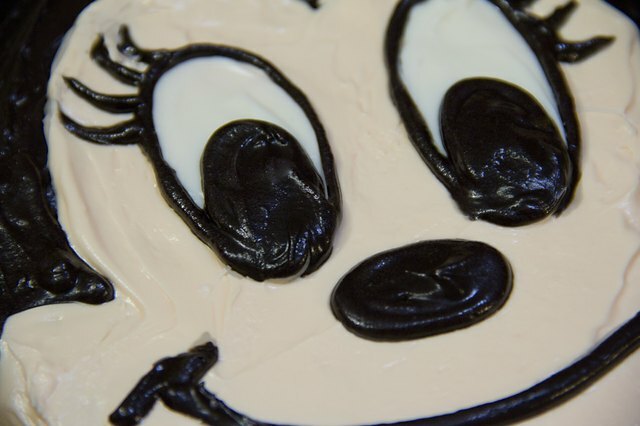 Bake a Minnie Mouse cake for your child's birthday party. 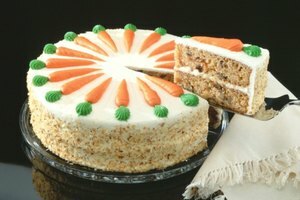 Use any flavor of cake mix your child likes; for variety, use a different flavor for each of the three pans. 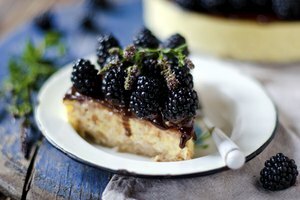 After baking and cooling, this project takes one to two hours. 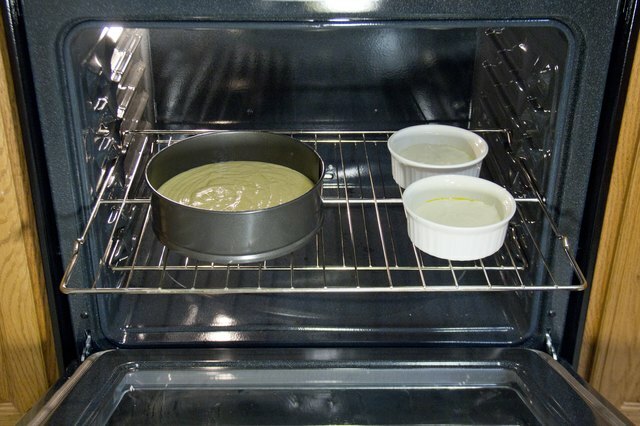 Prepare the cake the night before decorating to give it plenty of time to cool. 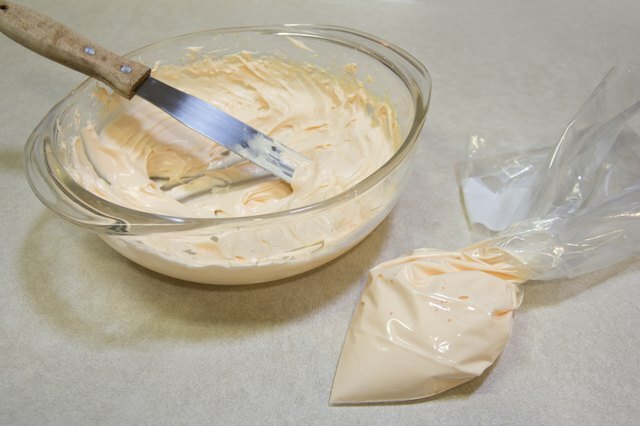 Fill the three pans with prepared cake mix. Bake for the time directed on the mix box or recipe. 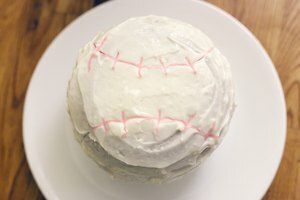 Let the cakes completely cool. 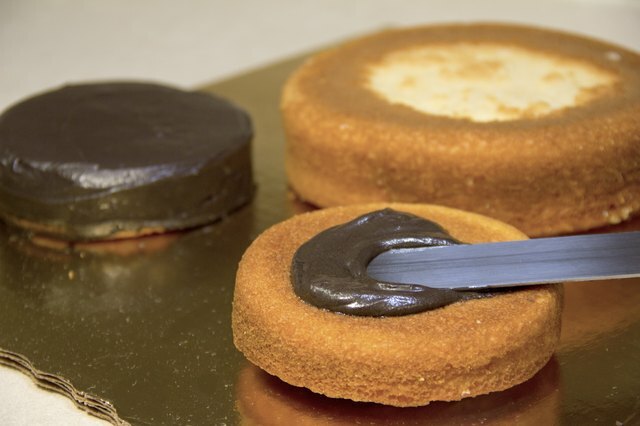 Flip the cakes over one at a time on the cake board. 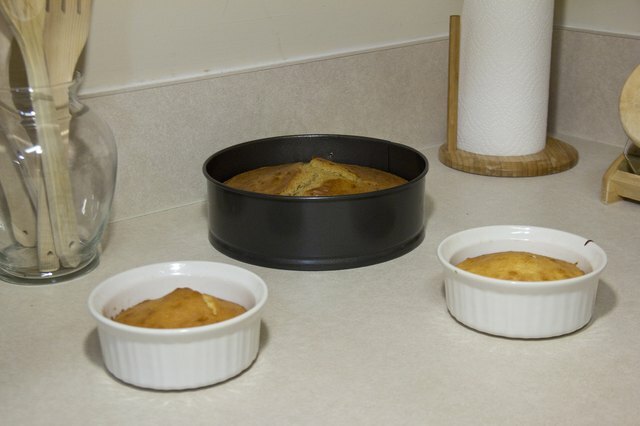 Arrange them so the two smaller cakes sit above the larger one. 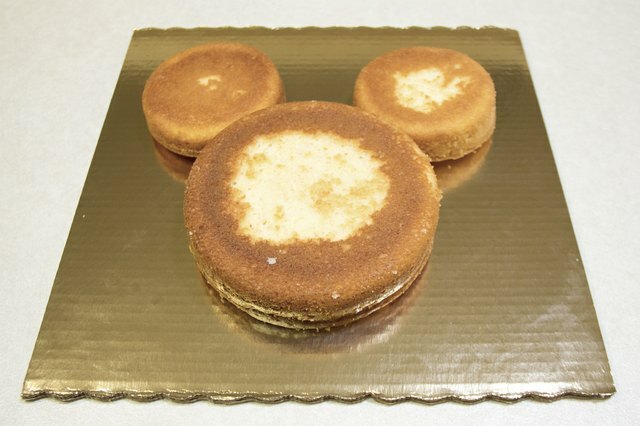 The large cake will be the face; the smaller cakes will be the ears. Cut off the tip of an icing bag and drop the star tip inside. Fill with black icing and twist the bag closed. 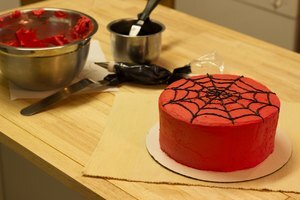 Spread black icing with the icing knife over the ears and around the larger cake. Ice the sides of the cakes. Cut the tip off another icing bag. Drop the star tip inside, fill the bag with peach icing and twist it closed. Make the outline of the face with the star tip. Outline a mouth, nose and eyes, then fill it in the face. 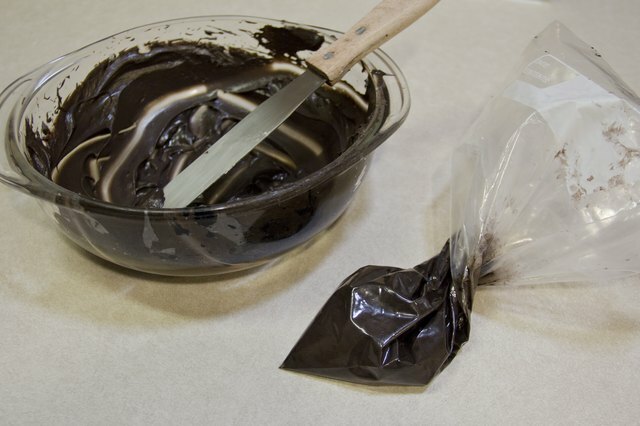 Make another icing bag with black icing. Fill in the mouth, eyes and nose. Draw eyebrows. Use the red icing tube to make a tongue. Tie a bow with the red ribbon. 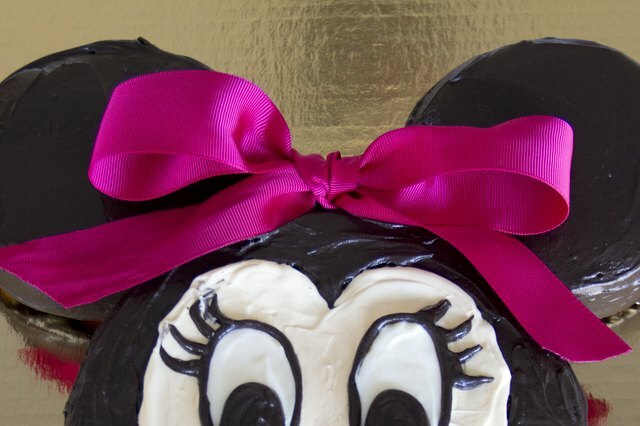 Push the toothpick through the top of cake, in between the ears, to hold the ribbon in place. 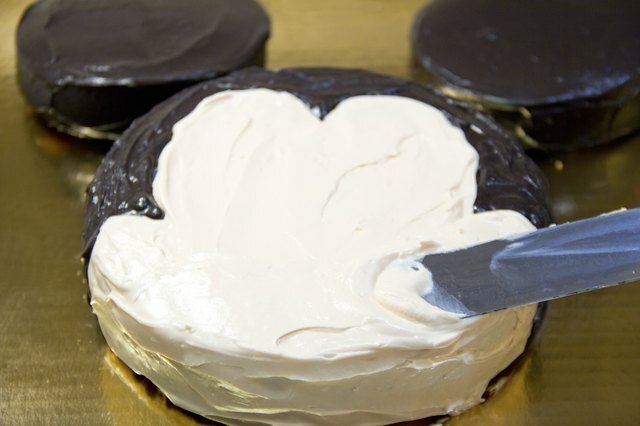 If the icing gets sticky, put it in the freezer for 20 minutes. 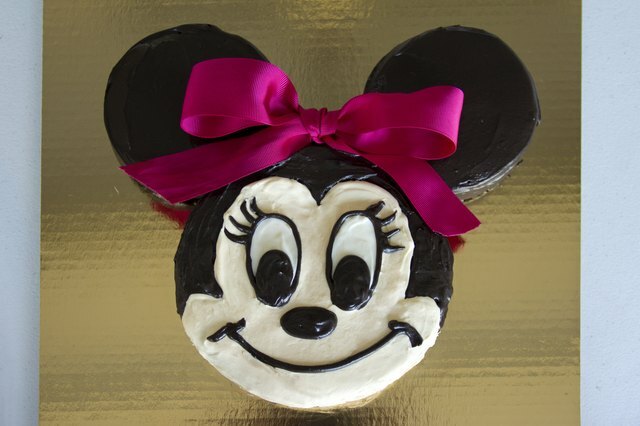 To make a Mickey Mouse cake, leave out the bow.